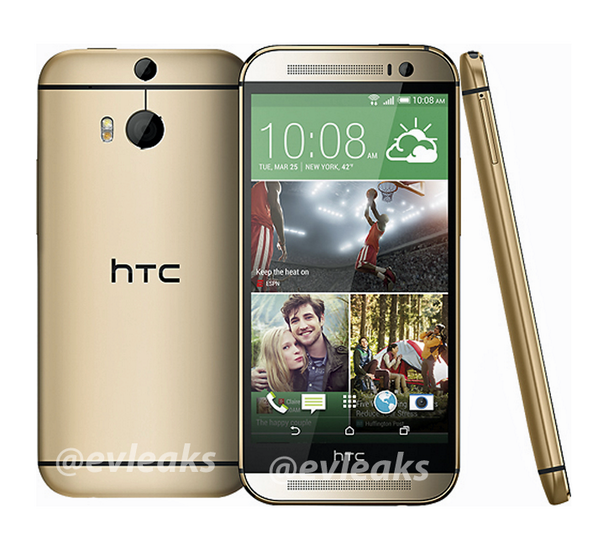 New pictures of the upcoming HTC One 2 have leaked by French website nowhereels showing that the new HTC One 2 will have a bezel-free design and will indeed feature a dual flash. Next to this there are also rumors that claim that the upcoming device won’t feature any navigation buttons instead they will be directly integrated into the display. The Dual Flash is expected to work similar to how the dual flash works on Apple’s flagship smartphone the iPhone 5S which uses it to adjust the amount of light to create the perfect image. The leaked pictures also reveal that the device will be much brighter and has a metal looking color, in the image on the right you can also see the dual camera configuration which will allow the HTC One 2 to create pictures of which you can then change perspective and focus after making the picture.